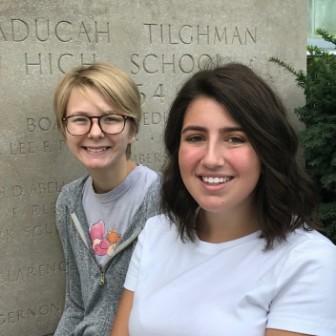 Kate Criner, Paducah Tilghman High School junior, has been named state champion in the Kentucky Council of Teachers of English and Language Arts high school writing contest. Criner's poem, "Admirable Abuse," earned her the state's first place designation in the poetry category. In addition, Criner's entry entitled "Reach Out and Take Hold" earned the state runner up award in the argumentative essay category. Senior Grace Raber earned the state's 3rd place designation in the informational / explanatory category for "How Education Helped Save this Foster Child's Life." The three pieces will be published in this year's Kentucky English Bulletin.